The Golden Baobab Prizes have announced their shortlisted writers for 2014. Established to inspire the writing and publishing of African stories that captivate the minds of children, the prizes award $20,000 to talented African writers and illustrators. The prize package also includes publishing and training opportunities to honorees. 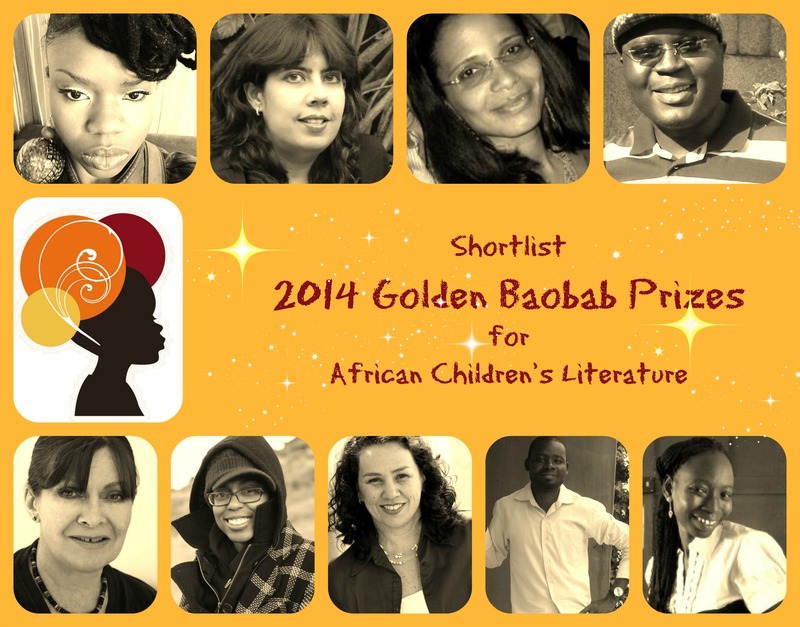 For the 2014 Prizes for Literature, Golden Baobab received 210 manuscript submissions representing 13 African countries. After going through Golden Baobab’s 13-week evaluation process which is renowned for its rigor, the shortlist features 3 writers from South Africa, 2 from Ghana, 2 from Kenya and one each from Nigeria and Zimbabwe. No stories from the Golden Baobab Prize for Rising Writers made it onto the 2014 shortlist. The winners of the 2014 Golden Baobab Prizes for Literature as well as the winners and shortlist for the 2014 Golden Baobab Prizes for Illustrators will be announced on November 13, 2014. The Golden Baobab Prizes were established in July 2008 and inspire the creation of African stories by gifted African writers and illustrators to captivate children’s minds. The Prizes invite entries of unpublished stories and illustrations created by African citizens irrespective of age, race, or country of origin. The Prizes are organized by Golden Baobab, a Ghana-based pan- African social enterprise dedicated to creating a world filled with wonder and possibilities for children, one African story at a time. The organization’s Advisory Board includes renowned authors Ama Ata Aidoo and Maya Ajmera. Golden Baobab is proudly supported by Echoing Green and The African Library Project.